JB's Detail and Power Washing, Inc.
Thomas Gianni & Sons, Inc. Comment: Due to extreme windy and rain conditions, one of the gutters on top of the roof has come off and is now hanging loosely. Concerned it might fly onto the neighbor's house or onto my car. Also, visually it looks like most of the gutters need to be cleaned and/or unclogged from the environmental debris: leaves, branches, and etc. Overall, a repair and some cleaning. Comment: I would like to get an estimate for need seamless metal gutters installed. Hartford Gutter Cleaning & Repair Services are rated 4.74 out of 5 based on 1,353 reviews of 35 pros. 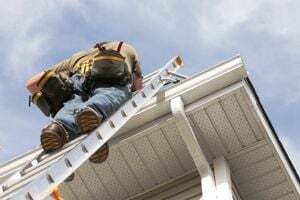 Not Looking for Gutters Contractors in Hartford, CT?